“It takes time trying to load a lot of babies into the gate and they have to fuss with them to get their head straight. I'm not blaming anyone at the gate, it's just a tussle sometimes and she came out of it slow and it cost her. I figured it was all over and we'd try and develop her on from there. All of a sudden, she was coming and maybe could have won it with a bit of a better start,” said Tagg. “The owners asked me if I'd ride Manny and I said yes. So far, saying yes to them has been working out,” Tagg said with a laugh. Charles Fipke's homebred Verve's Tale will make her Breeders' Cup debut in the Distaff. The 5-year-old Tale of Ekati mare has yet to win in five starts this campaign but will go into the Distaff off a rallying third in the Grade 1 Beldame Invitational. “She's a tough, old gal. She's as honest as the day is long. She likes to come from off the pace. If you let her lay up close, she doesn't have as good a finish. 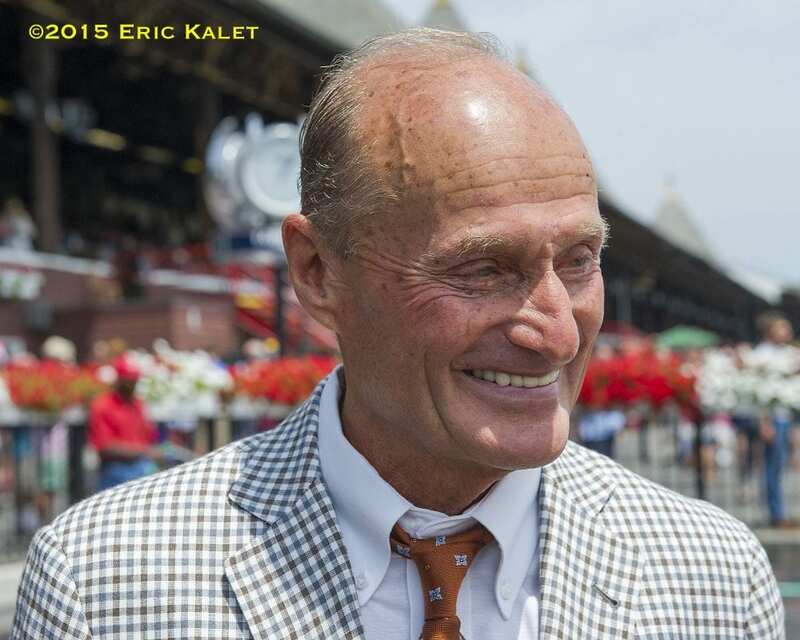 It's a little hard with 14 horses to come from off the pace but the good riders and good horses can do it,” Tagg said. Brian Hernandez, Jr. will take over from Manny Franco aboard Verve's Tale at Churchill Downs and be tasked with finding a winning trip. Verve's Tale breezed five furlongs in 1:01.37 this morning on the Belmont main. This entry was posted in Breeders' Cup and tagged Barclay Tagg, Breeders' Cup, breeders' cup juvenile fillies, cassies dreamer, churchill downs, Flatter, Frizette, Hayward Pressman, juvenile fillies, rusty jones, saratoga, sippican harbor, Spinaway by NYRA Press Office. Bookmark the permalink.